The new Duster starts at AED 51,900. 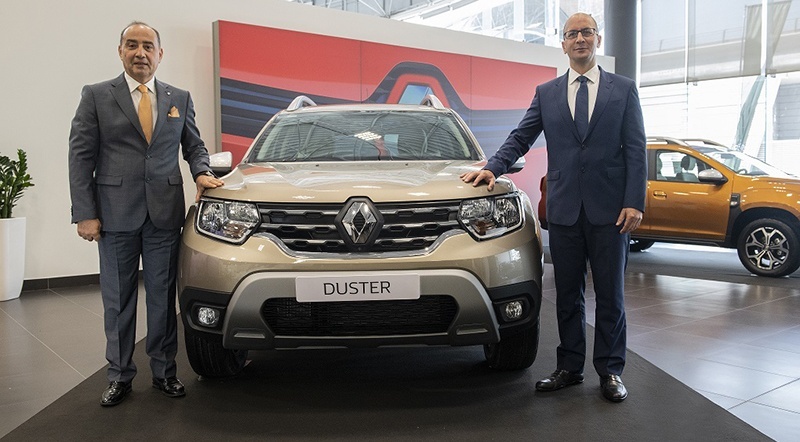 Arabian Automobiles, the leading firm of the AW Rostamani Group and the sole dealer for Renault in Dubai, Sharjah and the Northern Emirates has introduced 2019 Renault Duster at the opening ceremony of its new R-Store in Dubai. The Renault R-Store and service center, situated on Sheikh Zayed Road, focus on providing personalized services to its customers. The R-Store will provide customers with information on all the Renault models on offer while the service center is there to resolve technical issues in the vehicles. The all-new 2019 Renault Duster SUV is an ideal vehicle for both off and on-road driving enthusiasts offering them two engine choices i.e. 1.6L and 2.0L to meet their diverse driving needs. It comes equipped with the latest technologies including blind spot warning, multi-view camera, a smart card with keyless entry and remote engine start. The all-new 2019 Renault Duster is accessible at Arabian Automobiles showrooms wearing a price tag of AED 51,900, which is a little costlier than the 2018 model. The test drives are open for interested customers.